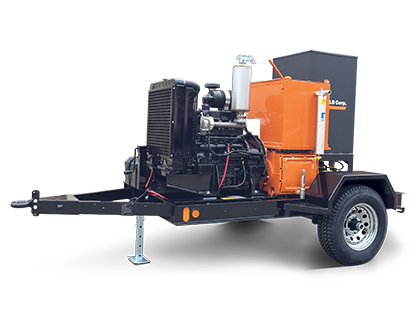 At the heart of this unit is a powerful and dependable triplex pump capable of 10 gpm at 4,950 psi. A Kubota v3600 (66 hp) engine provides the power in a direct drive configuration that eliminates the PTO and PTO maintenance. In addition to the upgrade in power plant and pump, NLB also integrated an industry-leading 700,000 BTU burner unit to address the demands of the many cycles, long hours and transportation requirements in the life of a typical hot water unit. Looking for the NLB 335 DHW-TRA-SA?